Mother’s Day is on May 8, and if you’re still looking for the perfect inexpensive present for the most important woman in your life, look no further. We’re helping you spoil Mom while minimizing the money you spend on her with our list of 11 creative and affordable Mother’s Day gift ideas under $50. The “What I Love About Mom” hardcover book features fill-in-the-blank prompts that you can use to write in heartfelt memories and funny moments from all of your favorite times together. You can buy it for $9.95 from Barnes & Noble . Decorative-minded moms are sure to appreciate a reed diffuser this Mother’s Day. Glass sets filled with fragrance oil and reeds, these diffusers offer a sweet smell to any room. We found the Pink Champagne Reed Diffuser on sale for $11.86 from Pier 1 Imports . This one emits an aroma of pink grapefruit, strawberry and citrus. Equip your mom with the ChicCharger, a lipstick-size charger that can fit in her purse and keep her smartphone charged while she goes about her busy day. The product also has an LED display that shows you how much charge is remaining. Get it for $12.95 from Amazon . Packaged like a traditional greeting card, 3-D cards reveal a paper sculpture that leaps off the page when the card is opened. It’s a card and a gift all in one. 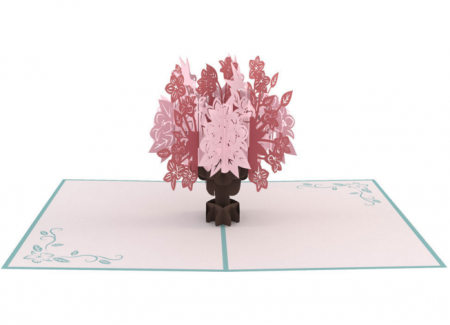 There are plenty of designs to choose from, but we especially like the Floral Bouquet Blue card that’s $13 from Lovepop . It’s like sending a flower arrangement that will last forever. Do you think your mom is the best ever? Let her and everyone else know it with a shirt that says exactly that. We found a simple T-shirt that says, “Best Mom Ever.” Outfit your mother with this perfect holiday apparel piece for $14.99 from Amazon . It’s sold in black, pink, red or blue. Even candles have gone high-tech. We spotted the LED Lytes Flameless Candles set at Amazon. It features three wax LED candles of various sizes. The battery-operated candles give the appearance of real candles, while offering changing colors and the convenience of a remote to control their flicker. You can purchase this set for $16.99 from Amazon . Keeping Mom up to date with the latest technology doesn’t have to be expensive. We found the iHome Wireless USB Chargeable Portable Bluetooth Speaker at Target for $21.49. This portable Bluetooth speaker can play tunes from smartphones, tablets and more. That means Mom can use it to play her favorite music wherever she is. Plus, because it’s USB-chargeable, there are no batteries required. Cement your love for Mom with a “family rocks” doormat. 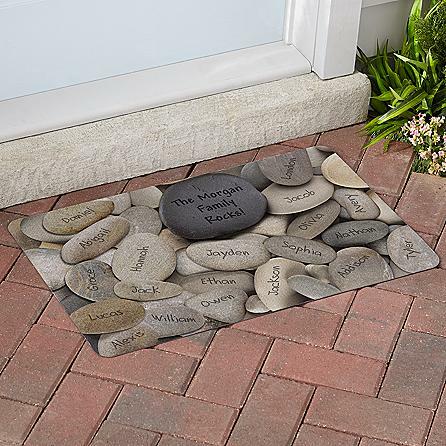 This mat features a picture of stacked stones, which can be customized to display the names of you and all of your family members on different rocks. The unique gift will mark your home with your family name. You can get it for $24.99 from Personal Creations . If you can’t afford to treat Mom to a spa day, you can bring the spa to her. We found a spa tin at UncommonGoods for $32. Packed with handmade products, Mom can indulge herself with the tin’s contents, including lavender goat’s milk bath tea, bath truffle, wedding cake whipped shea creme and hint of mint lip balm. Cookie flowers offer the best of both worlds — the look of a flower and the taste of a cookie. We found this exact combination available for $39.99 from 1-800-Flowers . Pick the pastel-colored arrangement of 12 long-stemmed buttercream frosted cookies and schedule to have it delivered to your mom in the days leading up to Mother’s Day. 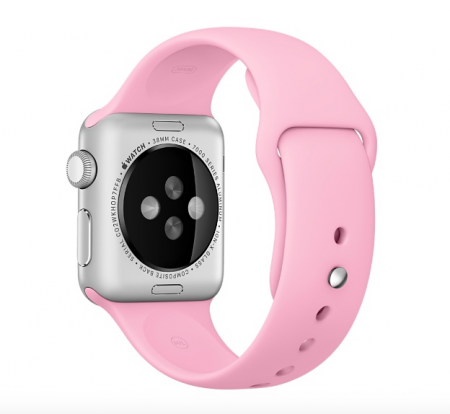 For just under $50, you can outfit Mom with a brand-new look for her smartwatch. We’re talking about an Apple Watch band. Earlier this year, Apple unveiled new colors of its trendy Apple Watch Sport bands, so there are plenty to choose from. They’re sold for $49 from Apple .